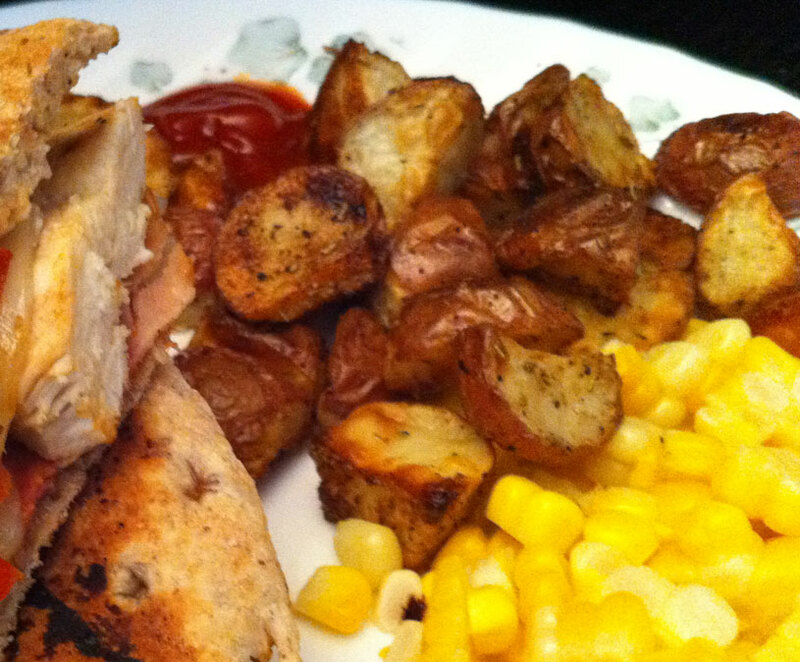 ← Sandwiches for dinner: chicken panini! Although I’ve cut right back on how many potatoes I eat these days, I still allow myself to have them from time to time — just in smaller portions. I’ve also been craving fries. So what a great way to get my potatoes and my fries craving taken care of than to roast some mini potatoes up in the oven and have them as a side dish? Grind all the seasonings together with a mortar and pestle. Toss the potatoes with the oil and seasonings in a large mixing bowl. Spread potatoes over a baking sheet in a single layer. Bake for 40 minutes, flipping the potatoes over at the half-way mark. Serve with ketchup, if so desired. This entry was posted in Brunch, comfort food, dinner, lower sodium, Lunch, nutritional values, oven, quick-and-easy, recipe, sides and tagged extra virgin olive oil, garlic powder, mini potatoes, Mrs Dash, mrs. dash table blend, potatoes, rosemary, salt. Bookmark the permalink.